This week I had the pleasure of traveling to speak at the BETT Asia Leadership Summit – held at the Marina Bay Sands in Singapore. 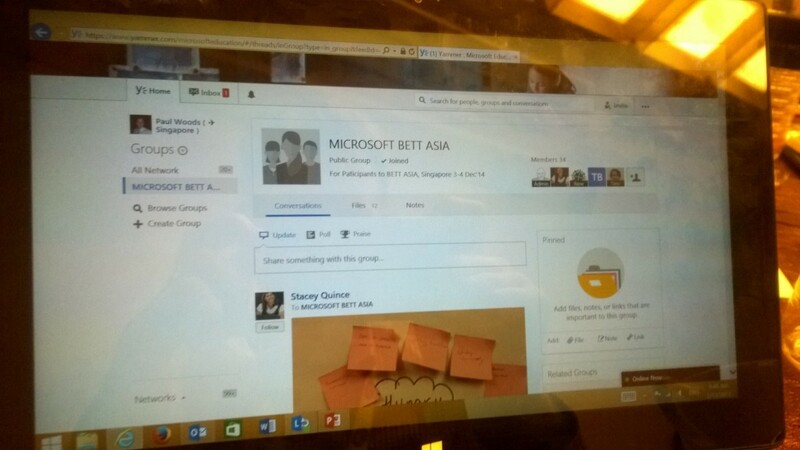 In the School Leaders Academy (the track that I was speaking) we used Yammer as the digital learning space for 150 educators who were participating in the program. Whilst I was there I pulled out my portable digital audio recorder and captured some thoughts. increasing cross cultural collaboration across language barriers and building a resource that could be referred to months after the event. Next Post → Episode 9: The best bits of The Yaminade – 2014 Edition!